Once my student's have mastered 1:1 correspondence and matching quantities to numerals, I being to introduce them to the concept of addition! I searched all over the internet and TeachersPayTeachers to find these... and they are NO WHERE! So I used my own creativity and made my own. I wanted addition flashcards with pictures to represent each number. This is a great way to introduce the concept of addition! 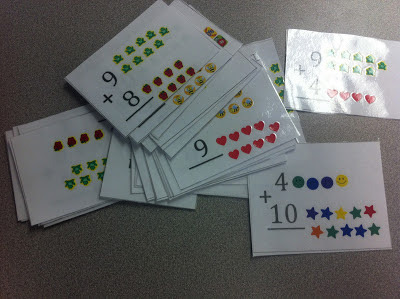 I introduce the concept of addition with manipulatives and these flash cards. 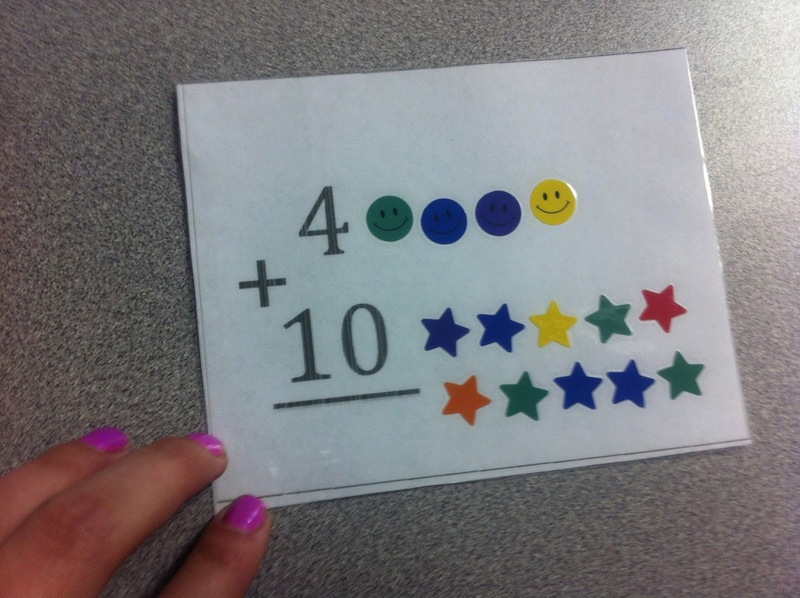 We look at the flashcard and read, "4+10" and then we count the stickers. I made sure to use different stickers for the different numbers so that my kiddo's didn't get confused. Once we count the stickers, I ask the student to perform the addition fact with manipulatives on their own. These were a great creation in Room 83! I printed the flashcards out, and had my aides help me add the stickers when we had a few minutes here and there. Once all done, I laminated and cut apart! These goodies are used on daily basis in my classroom! Once the students get comfortable with the concept, they transition to typical flashcards without the images! 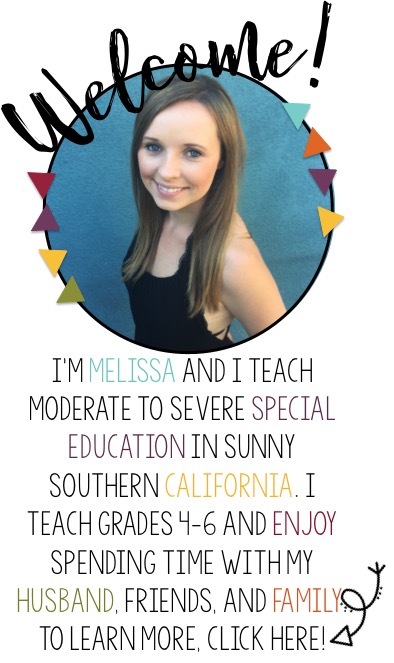 This comment has nothing to do with your post, but I am starting a grad program for an M.Ed in Special Education. You have a new follow, so I can gain ideas and things from you. good idea! I've used a modified version of touch math, but I like this better!